While living in the city has many benefits, you may opt for the country life instead. This is possible as there is an extensive network of transportation that connects surround counties to the city center, with 2 to 5 trains running during peak hours. Essex County includes several towns like Earls Colne, Terling, Great Waltham, or Saffron Walden close enough to train stations to keep the commute to about an hour. These communities boast cute shops and restaurants, historic sites, many recreational options, markets, schools, and little crime. Cambridgeshire is similar. Aside from the stunning attraction of Cambridge, it offers top schools, parks, historic sites, and low crime, and the commute averages 10 minutes less than Essex. There are a few important points to consider when beginning your research Moving to London With A Family. The further away from the center of London, you go, generally the less expensive renting will be. Also, the flats and houses have the possibility of being larger. In general, renting south of the river is less expensive than the north. Some rental accommodations will include utilities and/or the council tax, while some will not. You can check the income level of the area you would like to investigate at the UK’s Government Valuation Office Agency website. It is quite common for letting agents and landlords to require a UK guarantor that can cover your rent if you cannot for any reason. Alternatively, they may require six months’ rent up front. Finally, There are more modes of transportation to link neighborhoods than just the Tube, so don’t rely solely on the Tube map when considering travel within London (see more information in the next section). In an effort to cut down on traffic and reduce emissions, driving in London requires a congestion charge and a T-charge. That’s okay, however, because you don’t necessarily need to drive at all. You can take the London Overground, a train network allows travel across London, and beyond the Tube. Other options include the “Tube”, also known as the London Underground rail network. It’s an affordable and efficient mode of transportation for travel to and from central London. 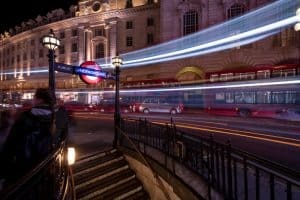 Aside from metro stations, there are several reliable public transportation modes to consider in London. The iconic double-decker buses in London are a convenient, cheap, and quick way to travel all over the city. The DLR (Docklands Light Railway) serves parts of East and Southeast London. River buses and trams round out the most common public transportation options. ● Application for Provisional License – This costs approximately $65 through the Driver and Vehicle Licensing Agency (DVLA). ● Written Test – This will run approximately $40 and requires a ‘Hazard Perception’ test. ● Driving Lessons – These are priced at approximately $33/hour, with a minimum of five hours, even for experienced drivers. ● Practical Driving Test – Finally, this costs approximately $85 and it is not uncommon for dates to be booked out two months in advance. You can find more information on getting a UK driver’s license here. London can be a great place for pets, despite the impression some people have of city living and animals. Hampstead, for example, features lots of green space and pet-friendly restaurants and shops, along with Parliament Hill and Doggy Sunday Brunch at Gaucho Hampstead. Greenwich also offers open green areas for the pups and is near Greenwich Park and the animal’s haven, Pavillion Tea House. Battersea has a 200-acre city park with games and activities for dogs and little ones. The Soho neighborhood is, despite common misconceptions, a very dog-friendly area. And, finally, we have Hackney. This area provides 330 hectares of green space and is in close proximity to Abney Park and Clissold Park. In order to work in the UK, you will need either a Tier 2 (General) Visa or a Tier 2 (Intra-Company Transfer Visa. Your best bet to land a work visa is likely to work for an international company in America for a few years. Then, transfer you to the UK. To get a Tier 2 Visa, a company will need to sponsor you both financially and on paper. A certificate of sponsorship is required before you can apply to work in the UK and you will have to pay the healthcare surcharge. What About Wining, Dining, and Culture? There is much more to London than tourism and grand buildings. London is full of spectacular variety. Listed below are some of the best areas of London to experience a multitude of restaurants, bars, and cultures. These are some of the trendiest and most popular locations in the city that you may want to investigate along with the section of the city where they are located. Although the weather in London is known for being unpredictable, it is rarely so extreme to detract from the many wonderful things to do in the city. Spring is unpredictable in London, with weather ranging from temperatures in the 70s to damp and chilly days. Sometimes, there are still frosts during spring and brief showers are common. Sunny summer days in London are glorious, but there are generally weeks of continual rain, accounting for an average of 2.5 inches per month. Overall, London is a very safe place, but it is still a large city, so sensible precautions apply. Call 999 or 112 in an emergency for the ambulance, fire department, or police. Call 101 for non-urgent calls. Information concerning major incidents can be found on the Met Police website. To make sure your route is well planned before leaving, you can visit the Transport for London website here for more information. Comprehensive travel and safety guidelines can be found on the Visit London website. Having a UK bank account is a good idea for receiving your salary, ensuring your cash is safe and setting up automatic payments for things such as a cell phone and monthly utilities. You have two choices for banking in the UK: banks or building societies. Banks are generally listed in the stock market and are owned by shareholders while building societies are set up as mutual institutions. By nature, building societies give account holders member status and voting rights on the society’s issues. In order to open an account in the UK, you will need a photo ID and documentation proving your address of residence, such as a utility bill. The pound’s value changes over time. You can sign up for exchange rate alerts to receive notifications based on your preferences. Check the mid-market rate, also known as the interbank rate, which is the midpoint between buying and selling rates in global markets. This is the fairest exchange rate you can get. Avoid airport and hotel currency exchanges, and look for the three major exchange companies in London – Travelex, Moneycorp, and Fourex. It can be difficult to make new connections and become part of a community after a move, especially a big one that crosses the Atlantic ocean. With that being said, there are options to consider. Rabble and Project Awesome, for example, are both social sports clubs with unique activities and offbeat philosophies concerning exercise. Meetup, Citysocializer, and thinking bob are online platforms to help you find social events, in-person group meetups based on interests, and more. Many boroughs in London have social events as well. You can Google “social events in London” and you will find an up to date list. ● British Museum – Houses a large Egyptian mummy collection, the Rosetta Stone, and a children’s audio tour. 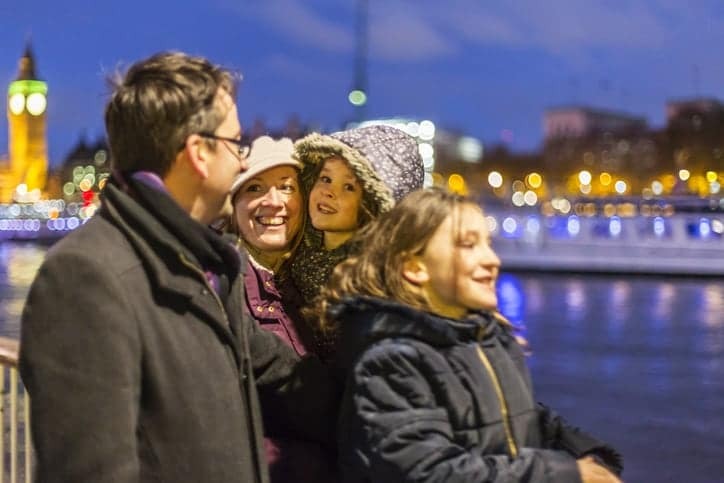 ● HMS Belfast – Europe’s largest preserved WWII ship with nine decks, a free audio tour, and hands-on activities. ● Victoria and Albert Museum of Childhood – In the East End and features childhood objects and toys from the 16th century to the present day. ● Buckingham Palace Changing of the Guard – Typically occurs at 11:30 am, every other day. Check the Palace website for updates. ● Kensington Gardens and Hyde Park – Two green spaces separated by the Serpentine, London’s oldest boating lake, and home to a famous Peter Pan statue and the Princess of Wales Memorial Playground which features a huge wooden pirate ship. Are you ready for your move? Keep the above information in mind is sure to help. If you’ve started investigating living in London, or have been investigating for some time, you know just how difficult it can be to find the perfect home. London Relocation has services for families planning a move to London that will take care of all the details of finding a wide selection of your perfect flats and setting up ONE day of viewing. Locating your new home is guaranteed! After you choose your perfect new home, we negotiate the lease and assist you to get moved and settled in. Call London Relocation now to get started at 800-903-1658 from the United States or from the UK +44 20 79930422!